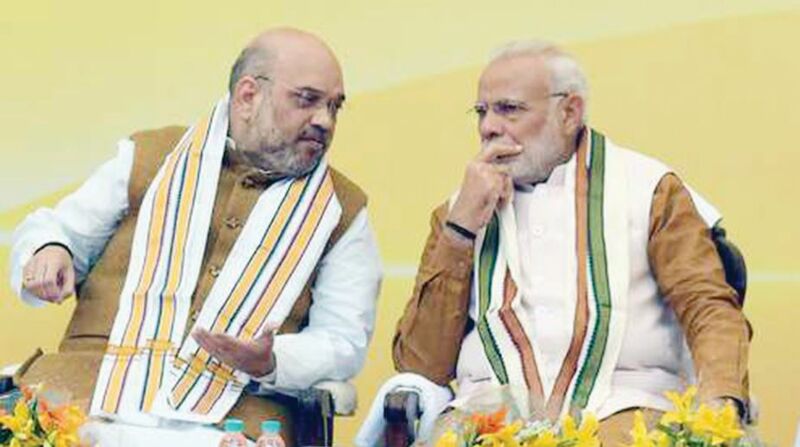 It was an impressive show at the new BJP headquarters in Deen Dayal Upadhyaya Marg on Wednesday when Prime Minister Narendra Modi and BJP chief Amit Shah held an interesting closed-door meeting with the 19 chief ministers and deputy chief ministers of BJP-ruled states. This kind of interaction between the Prime Ministers and chief ministers is nothing new. In October 1947, Jawaharlal Nehru started writing a fortnightly letter to Chief Ministers, urging them to keep in close touch with one another in order to overcome the serious challenges facing them. Nehru used his Letters to Chief Ministers to inform, educate, exhort and warn them. Successive Prime Ministers followed this but the frequency varied according to the personality of the incumbent. Even Atal Behari Vajpayee followed this practice during his six years at the helm. Obviously, they felt that such interactions allowed them to share strategy, initiate discussions and sort out problems between states in an informal way. It was also a get-to-know-each-other exercise. Modi, too, has also been talking of cooperative federalism. However, the meeting on Wednesday was slightly different because the Prime Minister and his party chief used the occasion to sound the poll bugle and alerted party chief ministers to get ready for polls. With hardly one year left for the next Lok Sabha polls, it was not surprising that Modi had undertaken this exercise. “Had an extensive interaction with the BJP Chief Ministers and Deputy Chief Ministers”, Modi tweeted after the meeting. Getting ready for polls includes spreading awareness about the welfare schemes launched by the Modi government in the past four years and also the performance of the states. Modi and Shah held discussions on many issues, including progress of Centrally-sponsored projects and Garib Kalyan schemes. Modi asked chief ministers to fix a time-frame for their implementation. Incidentally, the centrally sponsored schemes are directly being monitored by the Prime Minister’s Office. The meeting also discussed how to go about the Na Mo healthcare scheme, the one-and-a-half times’ increase in MSP price to farmers announced in the current budget as well as how to achieve the target of housing for all by 2022. The other issue was about 24/7 power supply to all households. These are ambitious schemes. One significant point that emerged was the subject of ‘one nation-one poll’, an idea being propagated by the Prime Minister for some time. Even recently Modi had said in an interview to a TV channel, “All political parties should come together on simultaneous polls, let there be a nationwide debate on simultaneous polls. I am confident that if there is discussion in the country, something good will come out. 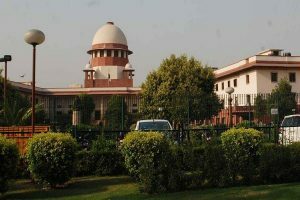 Apart from spending huge amount of financial and human resources in conducting elections, the security forces and police find it difficult to serve the people because they are busy in election duties.” BJP strategists believe that simultaneous polls will help the party overcome the dead weight of incumbency in poll-bound states and even if things do go awry, losing these states will be less significant in the midst of a larger national victory. Coming out of the meeting, Chattisgarh chief minister Raman Singh, who is the senior most among them revealed that the meeting discussed how the Centre and states could coordinate ‘one poll’ in 2019 from panchayat to Parliament and the need for creating pubic awareness. One of the major roadblocks is the conflicting interests between state and national politics and between the ruling BJP and opposition parties. The opposition believes that a presidential kind of election will be an advantage to Modi when local issues would get submerged. Also, in a simultaneous election, most voters are unlikely to split their votes between different parties for the state and the Centre. The BJP also expects that this would help Modi to get votes in opposition-ruled states also. The assembly polls for Rajasthan, Madhya Pradesh, Chhattisgarh and Mizoram are scheduled for December. Except Mizoram, the BJP is ruling in the other three states. There is speculation that the Lok Sabha elections might be advanced to December. But this is easier said than done because Modi might not like to curtail his term. After all, Vajpayee committed such a mistake in 2004 and lost the elections. There are some practical difficulties in pushing the idea. Also no serious efforts have been made to build a consensus on the issue. The BJP is on the back foot because it does not have the required numbers in Parliament to amend the Constitution if simultaneous polls are to be held. That is why so far the “one nation-one poll” idea is work in progress. It is a mystery why Modi is pursuing the idea when it is known all around that it cannot be implemented in the upcoming polls. Perhaps he wants to keep it afloat as an election issue to tell the people that he is all for one poll while the opposition is blocking it.